A ‘no-deal’ Brexit is not an option for the UK automotive sector, according to the Society of Motor Manufacturers and Traders (SMMT). The trade body that supports the interests of the UK automotive industry has warned that the introduction of import tariffs would inflate the cost of a new car by £2,700 on average for UK consumers. Over the course of a typical year, that would result in a bill of at least an extra £5 billion. Europe’s automotive sector is one of its most valuable economic assets, employing 13.3 million people and building roughly 17 million cars every year – around a quarter of the global car production. It also represents 6.8 per cent of EU GDP. As such, the UK leaving the EU without a deal would undermine the industry’s ability to operate and cannot be an option, so says SMMT chief executive Mike Hawes. 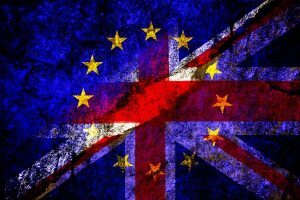 “Tariffs alone should be enough to focus minds on sealing a withdrawal agreement between the EU and UK, but the potential impact of ‘no-deal’ means the stakes for the automotive sector are far higher,” he explained. He called on negotiators on both sides of the Channel to recognise the needs of the entire European automotive industry and act swiftly to avoid any unnecessary disruption or damage. Jaguar Land Rover has already cut car production at some of its UK-based factories, with around 2,000 staff being reduced to three-day weeks. Elsewhere, BMW will close its Mini plant in Oxford for a month after Brexit takes effect to minimise disruption. This means its 4,500-strong workforce will be sat at home twiddling its thumbs throughout much of April. Some 2.7 million cars and vans cross the Channel both ways each year with the UK exporting £3.4 billion worth of components to help build vehicles.